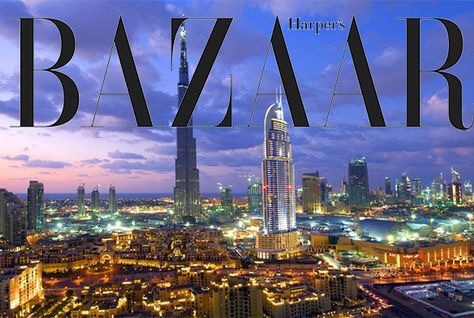 Dubai Design District, also known as d3, has announced an agreement with Marka Hospitality to launch the first Harper’s Bazaar Café in the first quarter of 2016. The signing of the deal with the food and beverage division of retail firm Marka signifies the start of many new retail and hospitality agreements for d3, as it looks to introduce many business partners to the design district throughout 2016, a statement said. It added that d3 has chosen to partner with “bespoke and distinctive brands”, with many choosing d3 as their first location and launch pad in the Middle East. Harper’s Bazaar Café, an extension of the luxury fashion magazine brand, will feature a total dining capacity of 140, with 74 interior seats and 66 on a terrace. Mohammad Saeed Al Shehhi, chief operating officer of d3, said: “Through our partnership with Marka Hospitality we are proud to welcome this exciting and original F&B concept to d3, which will add a further lifestyle dimension to our already thriving community. Khaled Almheiri, vice chairman and managing director of Marka, added: “Harper’s Bazaar is a globally renowned title and leading fashion publication that is the epitome of glamour, sophistication and upmarket couture. Posted on December 17, 2015, in #middleast, #retail. Bookmark the permalink. Leave a comment.